Here's how it works. An electric current creates alternating magnetic fields. These fields push against the molecules in the cookware, heating only the cookware and its contents, making it more accurate and efficient. Also making it safer, because the surface does not generate heat. Vollrath. Outperform everyday. Watch this quick video to learn how Vollrath's induction technology works! An electric current creates magnetic fields that heat up the cookware, making it efficient and precise. Food trucks, banquet halls, to backyard weddings. From front of house, to back of house. Safe, mobile, and agile. With Vollrath induction technology, there are no boundaries. With the versatility and safety of Vollrath induction ranges, you're free to take your food places that gas ranges find out of reach. Discover the freedom of Vollrath induction technology, because the only fire you need, is the one inside. Ignite yours at vollrath.com/induction. Vollrath induction technology allows you to cook wherever you want, whenever you want! 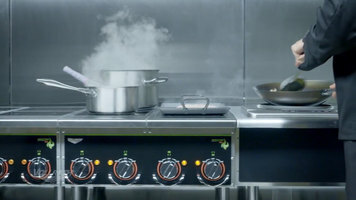 Discover the freedom of induction cooking by watching this video. This is stupid. This is smart. 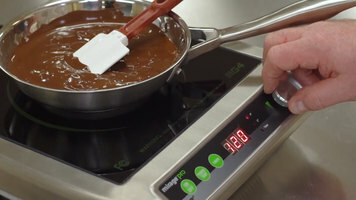 Vollrath induction ranges are not only safer and more precise, they're also 50 percent more efficient than gas burners. Because you don't have money to burn, and the only fire you need, is the one inside. Ignite yours at www.vollrath.com/induction. Vollrath's induction technology is safer, more precise, and 50 percent more efficient than gas burners. Learn more by watching this video! Simple. Smart. Safe. Efficient. Precise. Agile. Given the virtues of our induction technology, it's no surprise FES magazine named Vollrath best-in-class for the 10th year in a row. Looks like our kitchen needs a bigger trophy case. Experience Vollrath induction technology, because the only fire you need, is the one inside. Ignite yours at vollrath.com/induction. Simple, smart, and safe. 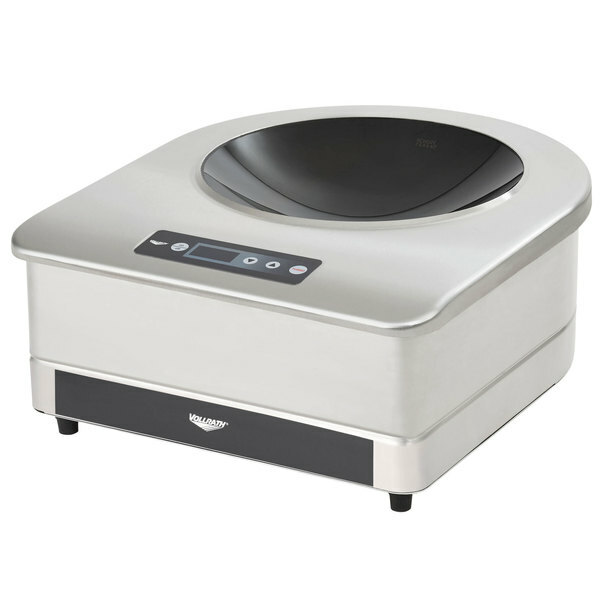 Experience Vollrath's state-of-the-art induction technology today! The next time you order off a menu or visit a buffet, think about this: there's a good chance your food was prepared, cooked or served with Vollrath small wares and food service equipment. 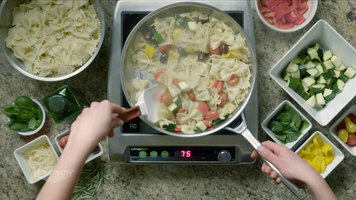 In addition to their traditional gas and electric equipment options, Vollrath's expanding line of induction products are heating up the food industry. With more precise and energy efficient cooking, that's safer and faster. Today we're in Sheboygan, Wisconsin to find out what makes Vollrath so hot. For Almost 145 years, the Vollrath company has been manufacturing high quality small wares and food service equipment right here in Sheboygan, Wisconsin. Today we continue to be family owned and we continue to grow through new product acquisitions and innovations of our own. So with 9 manufacturing facilities across North American, Europe and Asia, we continue to supply a wide variety of products to many international food service markets. The Mirage series is durable by design and able to withstand the daily use and abuse of a professional kitchen, ensuring their equipment is built to last. Our industrial design team gets involved in the very beginning stages of product development all the way to the team process to the end. It's a very integrated process. A good example of this is our Mirage induction buffet warmer, which is a terrific collaboration of industrial design and engineering. So what we ended up with is a very sophisticated looking product but it's very robust, very efficient, using induction heat, so really we've improved on the customer serving experience. What's really nice about this product is that you can connect three of them together and just have one cord going to the wall. Simple, smart, safe. The team at Vollrath works diligently to evolve induction technology inside and out. As far as R and D we work closely with our customers to understand the rigors of their kitchens, because a commercial kitchen can be very difficult on equipment. We then work on advanced development here as well and we marry the two to design something that works the best for them with aesthetics, reliability, and fine control in mind the whole way through. Our expansive product selection makes us a one stop shop for our customers in induction. Products themselves started in this flat state; they were primary cooking and people loved them for the efficiency of the units and the control. If I can dial something in here and get an exact power setting each and every time and we can control it by time as well, we have very repeatable results that anyone can achieve. I think one of the biggest innovations though has come when we have taken the coil now and brought it up the sides of the unit. So this now provides very even heating around the soup pot. Typically when you see on the inside of the pot, if you ever go to a soup bar and you see all the soup around the top edge, that's just waste. Operators really love how even this heats. We have a chain that has reported to us over a 30% increase in their food yields. I mean that's real money and people just love the waterless design. Here at Vollrath they've built an entire training facility for food service professionals to provide a more hands on experience. As our business evolved we recognized the need to have an industry leading training facility. We wanted a space that customers could actually come in and touch and feel the products. We try to be like the ivy league of the food service university industry, if there is such a thing. In the university we have three areas: the first area is our classroom area and this is where the details really come out, we train on the features and benefits of the products. Then we have our showroom area. This is a space where the customers or guests can go into and touch the products and feel what we talked about in the training. Then the test area, coming in here and using the product is a critical step for a lot of our customers, it really brings everything together. 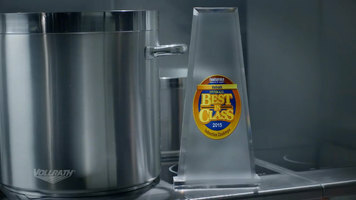 These best in class products definitely take the cake. Making a product look engaging and safe and intuitive but at the same time robust and commercial can be a challenge, but we like the challenge and we're really pretty good at it. Vollrath's induction technology line continues to outperform every day. Proving that the only fire a chef really needs is inside. Bon Appétit! Take a tour through Vollrath University and learn what they have to offer in the world of induction cooktops. Learn why the only fire a chef really needs is inside! Can this induction range handle any pan capacity? Most induction ranges do not have specified weight or pan capacities. The key to ensuring your range works properly and does not get damaged by too much weight is to use a pan with a bottom diameter that does not exceed the burner's diameter. Using a larger pan or pot, such as a stock pot, will lessen the effectiveness of the range and the quality of your food. 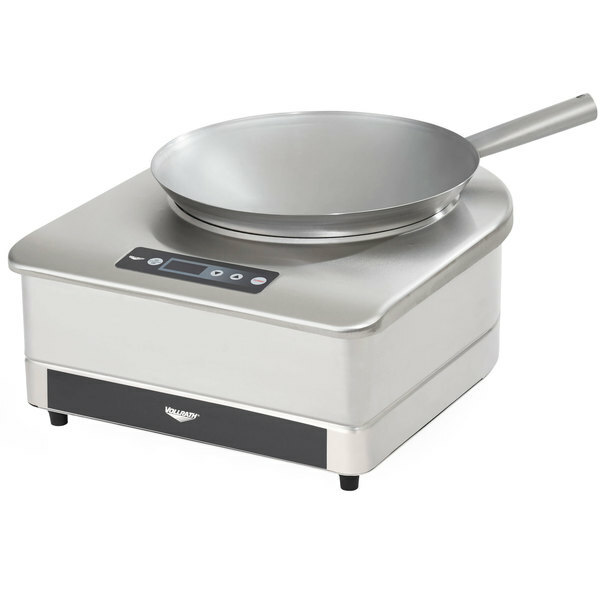 If you want the high efficiency and safety of induction cooking, but desire gas-like performance for cooking at true wok temperatures, then this Vollrath 6958301 countertop induction wok range will fulfill your needs! 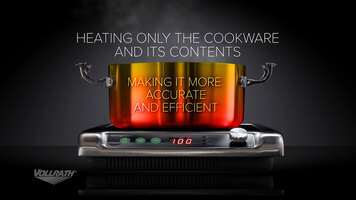 Featuring a G4 4 IGBT engine and 100 power settings for superior cooking control, this unit offers continuous-duty induction circuitry for non-stop cooking applications as well as a turbo button that allows it to preheat to full power in just minutes. Plus, its bright digital display takes the guesswork out of regulating the heat output of your unit! This wok range comes with a 14" carbon steel wok included, and its impact-resistant ceramic bowl will accommodate most 14" diameter induction-ready wok pans. With the ability to be installed as a countertop unit or as a drop-in unit, this piece of equipment gives you the flexibility to customize your buffet set up as needed. Thanks to a number of safety features including overheat protection, small-article detection, pan auto-detection, and empty pan shut-off, this unit is safe for nearly any operator to use! 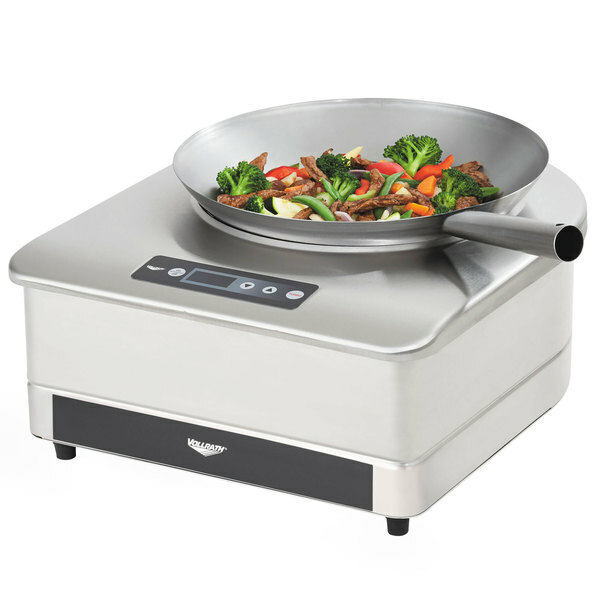 This induction wok range requires a 208/240V electrical connection and has a power output of 3000W. It comes with a 6' cord. This item has been verified or certified by the Federal Communications Commission (FCC) and will not cause harmful emissions.